In 2010, St. Cyres School took a chance on Apple technology. They were determined to deliver a high-quality, technologically advanced learning experience to their students that was both engaging and enjoyable. By 2015, each one of the school’s pupils received an iPad upon admittance. The implementation’s impact hasn’t gone unnoticed. The school’s iPad implementation started with a conversation around restrictions. As a unique approach, instead of locking down student devices, St. Cyres left them almost entirely open for student use. While there were concerns from both faculty and parents around this decision, Ian Stark, the school’s ICT manager, said a less-restrictive environment benefits their student population. 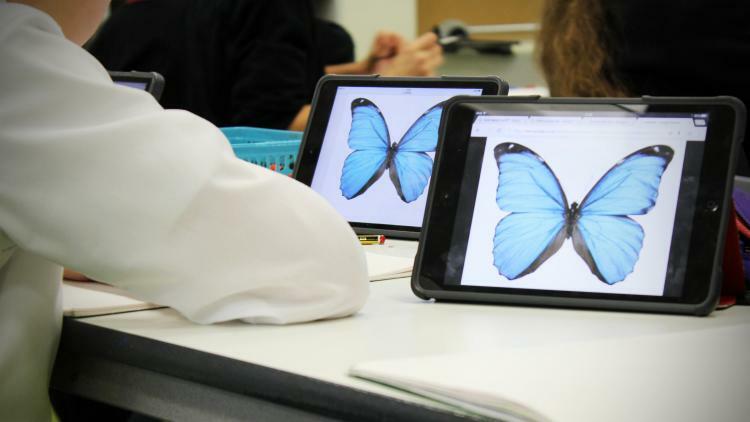 “With this sense of ownership, we believe the iPad can be used more creatively by students to learn and complete school work the way that suits their development,” Stark said. After providing education around how the iPad devices would be managed in school, and could likewise be managed at home, initial concerns dissipated. Students now enjoy access to the App Store, iTunes and the iBook Store as a way to elevate their learning experience. Stark said all the work they’re doing with Apple technology in the classroom is possible because they have the proper mobile device management (MDM) tool with Jamf Pro. “Jamf is like having a member of staff within my support team who is providing one-to-one support for every user 24/7,” he said. To learn more about how St. Cyres is using iPads to create more dynamic classrooms for their students, read the full case study.